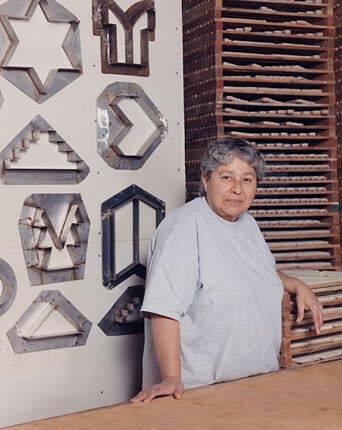 Ojai ceramist Viqui McCaslin is a Native American Yaqui Indian respected for her public art. Her work, which encompasses historic and environmental themes, is explored primarily through ceramic tile. McCaslin’s installations are widely displayed in private estates, shopping malls, Los Angeles MetroLink stations and galleries. Described as “psychologically environmental,” her art often transports the viewer from an urban environment to natural surroundings. McCaslin’s tribal ancestry, symbolism and philosophy of living in harmony with nature are all issues that inspire her work. Viqui McCaslin’s documentation took place in 1998. The FOTM Archive contains extensive information about this artist.